Azure Traffic Manager allows us to control the distribution of user traffic for service endpoints which resides in different datacenters. What is the Azure Traffic Manager benefits ? Traffic Manager delivers high availability for our applications by monitoring our services endpoints and providing automatic failover when an endpoint goes down. Azure allows you to run cloud services or websites in datacenters located around the world. Traffic Manager improves application responsiveness by directing traffic to the endpoints with the lowest network latency for the client. We can perform planned maintenance operations on our applications without downtime. Traffic Manager directs traffic to alternative endpoints while the on-going maintenance . Traffic Manager supports external, non-Azure endpoints enables it to be used with hybrid cloud and on-premises deployments, including the “burst-to-cloud,” “migrate-to-cloud,” and “failover-to-cloud” scenarios. Traffic manager use the nested Traffic Manager profiles, traffic-routing methods so it can be combined to create sophisticated and flexible rules to support the larger & more complex deployments. Routing method : Select the Routing method as per o your organization Requirements. It is use for website mode, As Azure Websites already provides failover functionality for websites within a datacenter (also known as a region). Traffic Manager provides failover for websites in different datacenters. Then click on Create. Once the Traffic manager is created select the traffic manager and see the properties. This Tab will show you how and where your traffic manager services are deployed . 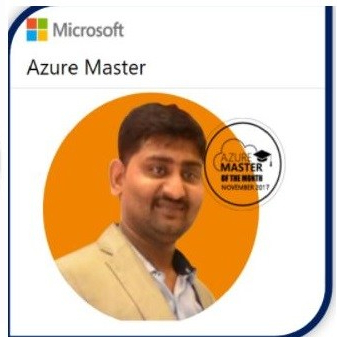 It is Role based access authentication for Traffic manger , If you want someone from you team to manage the Azure traffic Manager or you want to restricts the access to other department that you want to add that user in IAM and limited the access to particular user. It will show the traffic manager activity logs which will help us to manager traffic manager incase it is not working. This will help us to analyze the issue and provide link which will help us to troubleshoot the Traffic manager related issue. Configuration tab will show how you have configured the traffice manager and you can change the setting as per your requirements. Performance : We can use this method when our endpoints are deployed in different geographic location, and you want to use the one with the lowest latency. Weighted: We will use the method when we want to distribute traffic across a set of endpoint as per the weights provided. DNS TTL :The Value controls how often the clients local caching name server will query the traffic manager system for updated DNS entries. Any changes that occurs with traffic manager such as traffic routing method changes or changes in the availability of added endpoints .IT will take this period of time to be refreshed throughout the global system of DNS server. Endpoints: Traffic manager Can monitor your services to ensure they are available for monitoring to workforces, We must set it up the same way for every endpoint with in this profile. We can specify the protocol ,the post and the relative path. Traffic manager will try to access the file specified in the relative path via the defined protocol and port too check for uptime. Port: Port number of the services. Path: Define the path of the services. Probing Interval:-Configure the time interval between endpoints health probes. Probe Timeout :- Configure the time required before an endpoint health probe time out. The value must be at least 5 and smaller than the probing interval value. Add the Endpoints which you want to create based on your services and as per your organization requirements. Below are the 3 traffic Endpoints. Azure endpoints are used for services hosted in Azure. External endpoints are used for services hosted outside Azure, either on-premises or with a different hosting provider. Nested endpoints are used to combine Traffic Manager profiles to create more flexible traffic-routing schemes to support the needs of larger, more complex deployments. Please provide the Name Of the Endpoint. Targeted Resources: Select the below Services where we want to enable the Traffic manager endpoints. Cloud Services: This services basically used in Classic deployment model. App Services : If you want to apply the traffic manager for your web apps you can try here. App Services Slot : It is basically used for azure web apps slot like testing/Dev etc environments. Public IP address : Traffic manager can be applied on Public to address when ever traffic is more in public ip it will route the traffic based on your configuration. Properties is something where you can found all the resource related information. Add Lock is something where you can remove the access to delete the access or Provide the read only access. This can be used for automated the traffic manager creation and configuration. Previous postAssign Static In Azure VM.